Niki Heichelbech-Goldey, Lexington’s Director of Communications. While considered a luxury, traveling is a great way to get out of your comfort zone and experience culture in ways that can help you grow as a person. Some trips can be especially costly, but they don’t always have to be overly expensive; the world holds many destinations worth visiting that won’t break the bank. One such place is Lexington, Kentucky. Known for horses, bourbon, bluegrass, and Kentucky Wildcats basketball, Lexington has plenty to offer tourists. Recently, we had a chance to sit down with Niki Heichelbech-Goldey, Director of Communications at Lexington, to get the scoop on all the affordable activities the city offers from the perspective of one of the locals. 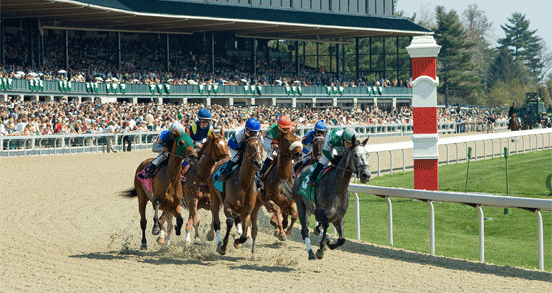 What brings the most tourism to Lexington, and what are some of the can’t-miss attractions? Lexington is known as the horse capital of the world. Kentucky, as a whole, is known as the birthplace of bourbon, and Lexington plays a major role in that designation. The number one attraction in Lexington is the Kentucky Horse Park, a major equine attraction just north of Lexington right off of I-75, which makes it really easy for people to get to. Admission to the park is $20 for adults, which includes a second day of admission for free. So basically $10 a day gets you into the park. It’s basically a theme park dedicated to all breeds of horses. There are a variety of daily activities that go on out there. The Hall of Champions show features champion racehorses that are living out their retirement years at the Kentucky Horse Park. Right now, it has Kentucky Derby winner Go For Gin and Preakness Stakes and Belmont Stakes winner Point Given — two major rock star thoroughbred horses. They also have other horses, like Western Dreamer, which is a standardbred pacer that won the US Pacing Triple Crown in 1997. Immediately following that show, visitors can go down to the Parade of Breeds, which is where they discuss about five or six different breeds of horse. They come out in costume, so if you’ve got an Arabian horse, its rider is in a really beautiful costume and the horse is all dolled up, as well. They give you a brief history of the breed of horse, the reason why it was bred, what type of work that horse did, and it’s just a really colorful presentation. After the show is over, guests are invited to come right down to the rails and talk to the riders and pet the horses, and it’s very interactive for children. Racing seasons at Keeneland occur twice a year — during the months of April and October. Keeneland is also an amazing attraction. Keeneland Racecourse is where our thoroughbred racing happens, and it goes on two times a year — once in April and then again in October. It’s a really great value for folks. You can do general admission for $5 and go in and experience all there is to do at Keeneland. The other thing with Keeneland is that there are things to do at the track year-round, despite the fact that they’re only racing in April and October. You can go out and watch the morning workouts; they usually start around daybreak, and they work the horses out until about 9:30 or 10 a.m., and then you can have a really nice hearty Kentucky-style breakfast at the track kitchen, which is about $5-6 a person. What is the most popular time of year to visit Lexington? We definitely see a lot of visitors coming to town during April and October, which are the racing seasons at Keeneland Racecourse. We are a spring-through-fall destination for the most part, but there are lots of great things to do in the winter, as well. However, many of our attractions are outside so it’s certainly more comfortable to be out in the fields and farms during the warmer weather months. What are some popular local dishes to try and restaurants that won’t break the bank? The Kentucky Hot Brown is certainly something that most folks have heard about; you can find that at a variety of places around town. It was actually created at the Brown Hotel over in Louisville. However, you’ll find hot browns on menus all across the state. Keeneland is a fantastic place to try it. There’s a great diner here called Ramsey’s Diner, which has a really delightful hot brown, and it also has a vegetarian hot brown, as well. Another popular dish you can try is called burgoo. It’s a very thick, hearty stew great for fall, and it’s got a variety of different meats and vegetables. Back in the old days, it would have been any kind of wild game, like venison, but today you’ll likely find beef, chicken, lamb, and that sort of thing. Lexington is filled with lots of great and affordable restaurants to try while you’re in town. For breakfast, there’s a lovely place called Doodles, which is in an old, refurbished gas station. It’s all organic and very local, and you can have breakfast there for about $10 a person, so it’s a really good value there. For lunch and dinner, there’s a great restaurant on Jefferson Street — which is kind of an up-and-coming area of town with lots of great restaurants — called Stella’s Kentucky Deli. You can find very traditional sandwiches, but you can also get a fried green tomato BLT, which is one of my favorites. Also on Jefferson Street, you can check out Nick Ryan’s, which is awesome because it provides a little something for all different tastes; you can have fish, chicken, beef, the hot brown — they have all sorts of variety there. Across the street from there is a great pizza joint called Grey Goose. If folks are looking for additional details on the dining scene here in Lexington, we have a lovely highly curated guide called Beyond Grits, which is all locally owned and operated restaurants. 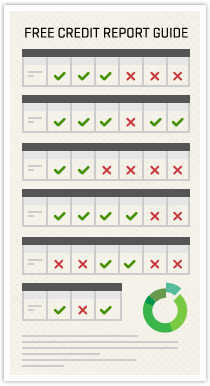 We look at resources, like TripAdvisor and OpenTable to see where the buzzworthy restaurants are. We have so many great restaurants that we have to curate that list to keep the book at a reasonable size. Do you have any advice for tourists looking for affordable lodging in and around Lexington? We have all your typical chain hotels here in Lexington — Hampton Inn, Quality Inn, Holiday Inn — all of those mid-price range hotels are certainly available. If you’re coming in April and October, it does tend to be a little bit of a higher price point but still quite reasonable. I would also recommend checking out hotels that are right off of the interstate; the Hamburg Pavilion area at exit 108 is a great option for folks. It’s just outside of the downtown area so the rates are going to be a little more affordable, and it’s only about a 10-minute drive into downtown if you want to explore some of the stuff happening there. What’s the most economical way to get around town? Having your own transportation is a really awesome way to get around Lexington, and I mention that mostly because one of the number one pieces of information we send out is called the Bluegrass Country Walking and Driving Tour. The walking tour is a two-mile walk through historic downtown Lexington; the driving tours are comprised of three different loops that all feature different horse farms in the area. It’s a completely free thing to do — outside of the gas in your car. It’s a great way to see the bluegrass and a really low-cost way to take in the sights around town. What do you think makes Lexington stand out as a tourist destination among other American cities? Lexington is a great mid-sized city; we have about 310,000 people here in the bluegrass and attractions that you really can’t see elsewhere — that being the horse industry —with about 450 horse farms in the area, and the bourbon industry. Kentucky produces 95% of the world’s supply of bourbon; there are actually more barrels of bourbon aging in the state than there are people. There’s about 4.4 million people in the state of Kentucky and about 6.6 million barrels of aging bourbon. Buffalo Trace Distillery, which stayed in operation through Prohibition, offers free tours to visitors. Most of the distilleries charge for tours. However, they are pretty nominal fees. 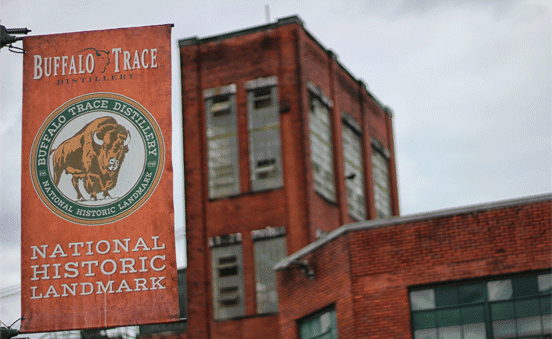 One is open to the public for free, and that’s Buffalo Trace Distillery. Buffalo Trace produces about 18 different types of bourbon, and it has a really awesome, large campus. It’s actually the only operating distillery that was able to operate through Prohibition through a medicinal license, so it has a lot of really great history there. We also have a lot of craft breweries in Lexington, too. We call it the Brewgrass Trail. We like to say, “Respect the bourbon, drink the beer.” So if you’ve been out doing several bourbon distillery tours, it’s nice to come back in the evening and maybe do a beer tour and just grab a pint, rather than drinking bourbon all evening.